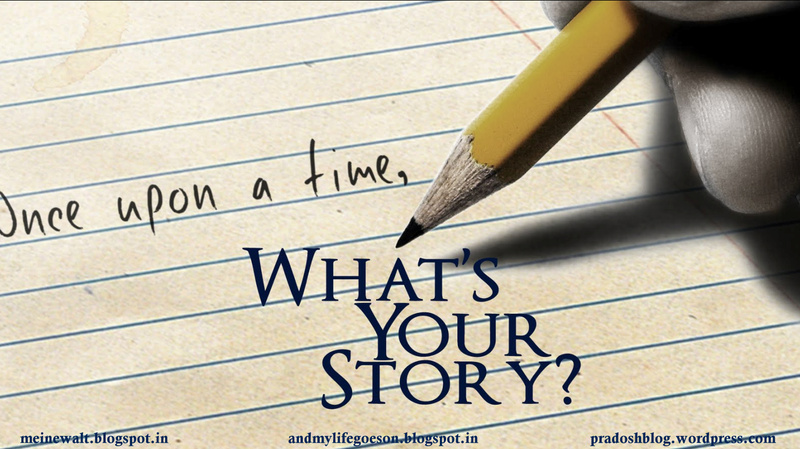 My World: What's your story?- You are invited! Hello my dear blogger buddies! I hope you all are doing great! Pradosh Kumar of 'Against Pseudos' and Manju of 'And my life goes on...' and 'Manju'z Kitchen'. This event is about you...your thoughts..and your life.. So if there is anything or anyone who stirred your life... means a lot to you...People....happenings...failures and achievements or memories that you wish to share..tell us! We will put up your expressions on 'And my life goes on' for the world to read. 1. Send in your stories prior to 15th February 2013. 2. You may send more than 1 story. Maximum stories published from one participant will be 5. 3. You may send pictures relevant to your story. It will be really good if you send one picture of yourself also, to put it in the introduction part. 4. After your story is published on 'And my life goes on', you will need to publish a notification along with the above picture and the link to your story, so that your readers don't miss the action!